Maureen Nasser is in her fifth year as Assistant Athletic Director for Media Relations. GRADED EXERCISE: In the comments section below, add the three things you learned from Maureen Nasser‘s presentation. Deadline is 30 minutes before class on Tuesday Feb. 3. No exceptions! This entry was posted on January 22, 2009 at 10:12 am	and is filed under Uncategorized. You can follow any responses to this entry through the RSS 2.0 feed. You can leave a response, or trackback from your own site. 2. Washington Post writers are seen as more professional than the writers from a lot of other publications. They dress well and don’t take things for free. 3. Being a quality journalist is a major benefit to anybody hoping to get into media relations. 3b. Chris Webber got arrested in PG county when he was supposed to be at shoot-around. 1. If an athlete’s behavior ever comes into question, it is best for the team’s manager/coach to be proactive when deciding on an appropriate action to take. Otherwise the media can open the issue up to debate. 2. The Washington Post reporters are some of the most professional; they never accept anything for free and always dress the part. 3. Sometimes even the least experienced person can be the best at a job or internship. 1. Working in the field of Sports media requires working long and strenuous hours. 2. Having prior experiance in situations like internships will oly aid an individual in trying to land a job out of college. 3. Never burn bridges in field of work. 1. Keep options open… you never know when you are going to run into someone in the future. 2. PR people often times have to travel with the team for away games. 3. Working in the sport industry actually is as much of a time commitment as I have heard. It will take more than the standard 40 hour work week. 1. Internships open doors and extend opportunities to journalists and media relations students in a way that few other outlets can. 2. You’re network can be your best friend or worst enemy depending on how the impression you leave. “Don’t burn any bridges,” as Maureen Nasser said. 3. It doesn’t matter what you’ve done or where you went to school. If you take full advantage of your internship opportunity and perform at a high level you will be successful. A resume only gets your toe in the door. Three important things from Maureen Nasser’s visit. 1. Don’t burn any bridges. 2.Persistance is the most important quality to have when pursuing a job, as illustrated by the story of the solecistic intern from Minnesota. 3. Washington Post reporters have a dress code and never accept anything for free from PR representatives. 1. I knew that Coach L. was a good guy in general, but for her to say that he’s been the best she’s ever dealt with really says something. 2. I know that it’s important not to burn bridges, but Maureen really made me think and consider ways that one may burn bridges without even thinking about it. 3. I did not know that people in sports really do work 24/7/365. …I want more Chris Webber anecdotes. 1. 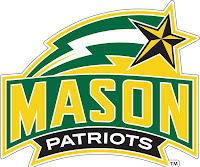 There are 22 sports at Mason, even though the majority of students only really hear about a couple. 2. Mason struggles to get press time with the Washington Post. They cover Virginia Tech and UVA more often, believing them to be “local” schools. 3. Going to graduate school would be beneficial to those wishing to ever teach in his or her future. 1. I am on the right track for sports information. 2. I definitely love the sports business. 3. Knowing people in the business and being the right place at the right time is crucial. 3. Working as a athletic director is very difficult. 2)Don’t mess with Brett Haber’s stuff; don’t publish things that you don’t have a right to and don’t publish defamatory things that have no relevance. 1. The amount of hours required to a sports organization. Maureen Nasser referenced her experience with the Washington Wizards when she would have to be in the arena early in the day when the game didn’t start till 7: 30 p.m.
2. The most important advice: Never burn bridges. 3. Public relations members have to travel for away games. I assumed pr team members would only work at the home arena. 1. Your career can be quite a journey, with where you envisioned yourself being and where you are sometimes never being the same. With that said, keep options open, maintain friendships, and keep an open mind. 2. Be yourself, not what you think your interviewer or possible employer want you to be. 3. Professional sports is a business, first and foremost.